Every parent knows the feeling of looking at their newborn babe and believing with unshakable conviction that they are capable of anything. They have talents that put them above the ranking charts of any other babe, maybe taking their first steps a little ahead of schedule or muttering clearer words than other tykes their age. Flaring up their eye lasers well before Jimmy-down-the-street could even start using his thumbs opposably! Wait… your tyke isn’t peering out laser vision? Well, there’s no reason to be alarmed. Every baby develops different powers and perhaps shooting fire out of their eyes isn’t the most ideal power for a little kiddo to be having, anyway. There are plenty of other possibilities that might be far more fitting. Flight? Super-strength? Shapeshifting? Invisibility? Ultra-powerful teeth? Hrmm. Now that we compose a short list of them, a baby having any of these powers while still in the middle of development might make for some pretty intimidating early years. But, we know that you’ll love your child no matter what! So, you might as well get used to the incredible infant that you’ve got with this Baby Jack-Jack Deluxe Infant costume. The polyester fabric jumpsuit fastens with Velcro at the back of the neck and snaps at the crotch and inseams for easy wear and changing. 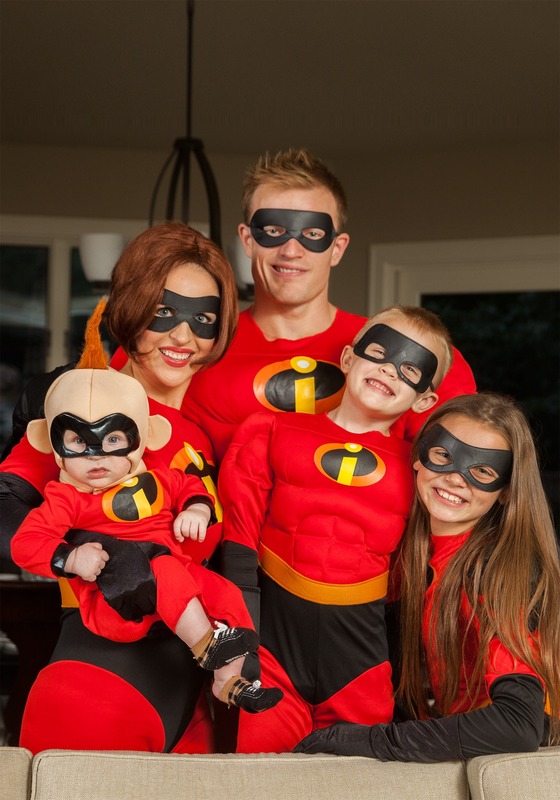 The bright orange fabric shines with the Incredibles logo on the chest and the foam hood fastens under the chin while giving an adorable tuft of faux fur hair. 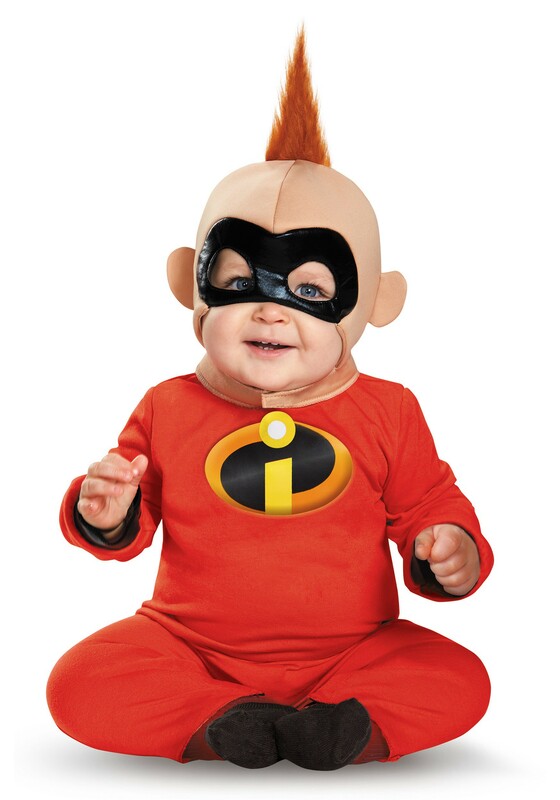 Whether your babe develops laser vision, demonic shape changing, flight, strength, or all the above, your kiddo will look the part and be ready to show off all the development milestones in no time.